With IX and Resistance connection; I am wondering if we will see Bucket and the Colossus in the background (i.e. Rebels and Rogue One). Nine more months! IX is a baby! Had a little search as recalled seeing something similar before, although gut was saying Vader comics, but Erik Maell did some artwork for Topps trading cards. LOVE! Thank you for sharing! I do hope there is a way they can express her compassion and intelligence, yet if she is only visually shown, that will cause me to feel happy, as well. She deserves the attention in IX! 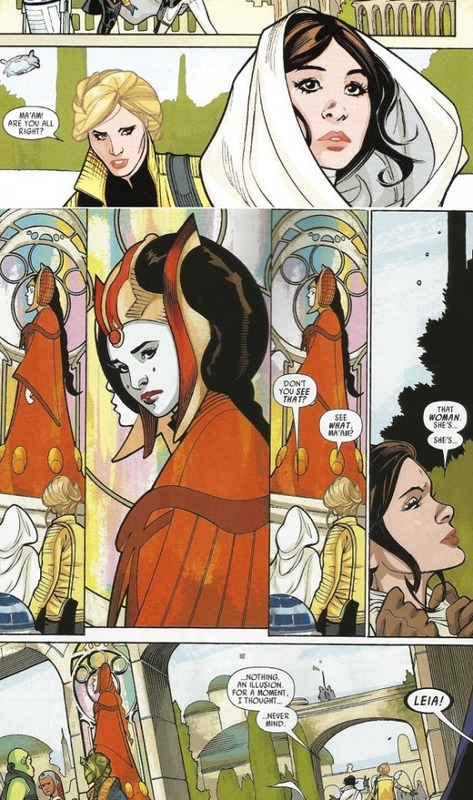 If this is a scene from Clone Wars, I won't be too embarrassed (and even more perfect! lol) - I am trying to catch up for the new Clone Wars on Disney+ by watching older episodes, but I have not yet seen them all. @AhsokaTano wrote: What the ... ???lol! So, Leia banged someone else during her marriage with Han? No, WAIT! 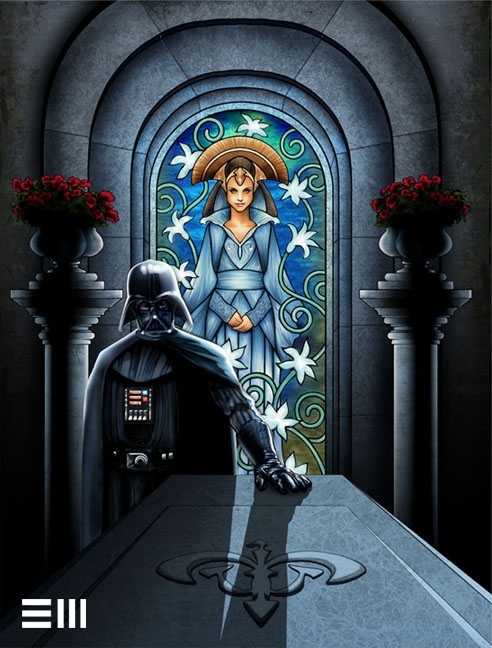 Karrie is older (although she looks very young) - so Leia had a child before Ben with someone else and nobody knew? OR was Han the unfaithful and for some reason that child ended-up force sensitive for some reason? I don't understand why in this huge populous universe every new character must necessarily be related to a known one. Can't she just be a new character with her own story? This thing some fans have regarding hidden pregnancies and secret children is starting to be really repetitive. Come on invent something else! He totally is lol! Maybe like gangsta rap guy he’s heard snippets but he embellishes and exaggerates what he’s heard until it’s longer in its original form. 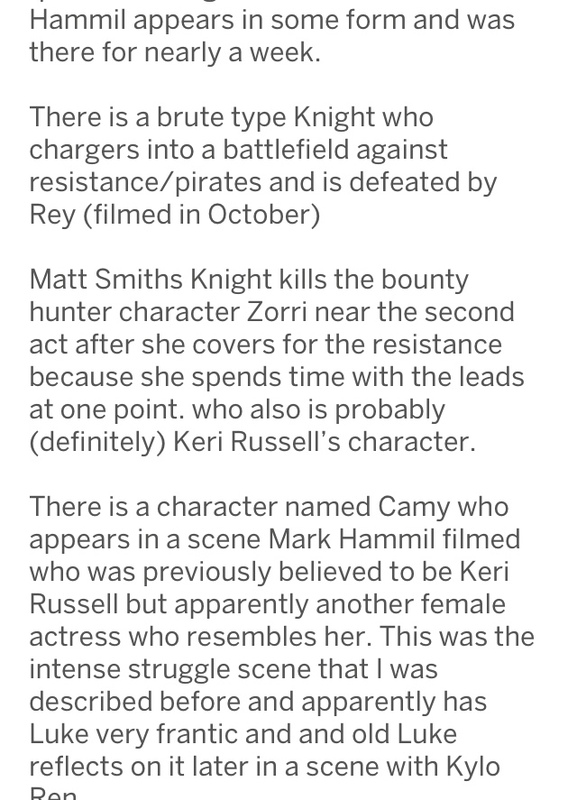 Take that Camy scene above - if it’s what I think it is ( and he’s not trolling that as well ) it’s the prologue of TLJ novel with Luke reflecting on what could have been , well it’s very different to what he said originally ie it was Keri Russell’s character and she was in childbirth with Luke’s child and it seemed like that child was Rey . Lol! Well, he's entertaining anyway, in the very worst sort of way. What I took from the leak on Saturday. Yep, Kylo is going to be our space Darcy. @spacebaby45678 wrote: I believe it, my only issue is the color, was hoping for a green logo as in the heart chakra where love resides. That would subliminally read the only hope is love. Have you seen the colour scheme of the mural revealed at celebration? It seems to start yellow , then red for prequels , then merging into purple tones for Solo and rogue one fading to blue and green for original trilogy and sequel trilogy and it seems to be fading to yellow again . Having said that haven’t seen the last part yet as that’s covered up . 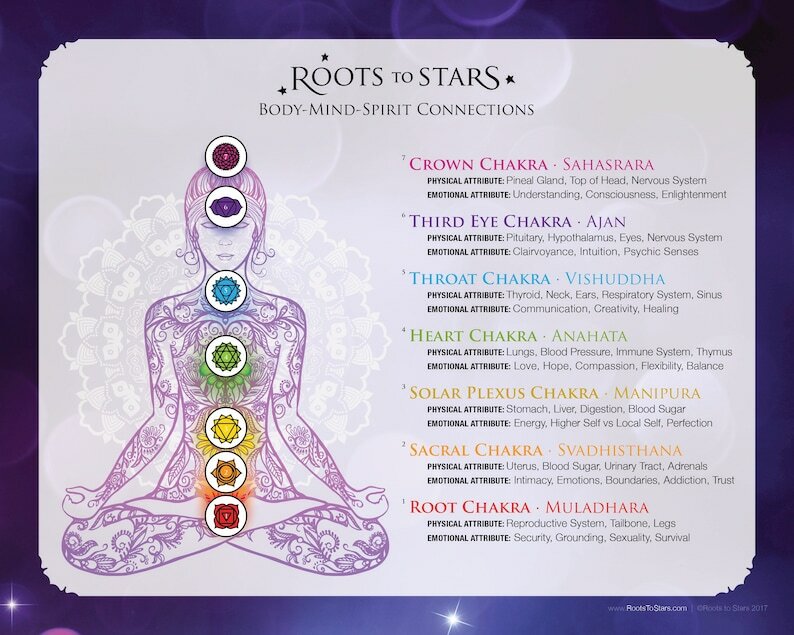 We are getting balance and perfection as it’s the solar plexus chakra in play at the end it seems - going back to the beginning . The balance through the son/sun . Kylo /Ben will be like his grandmama . 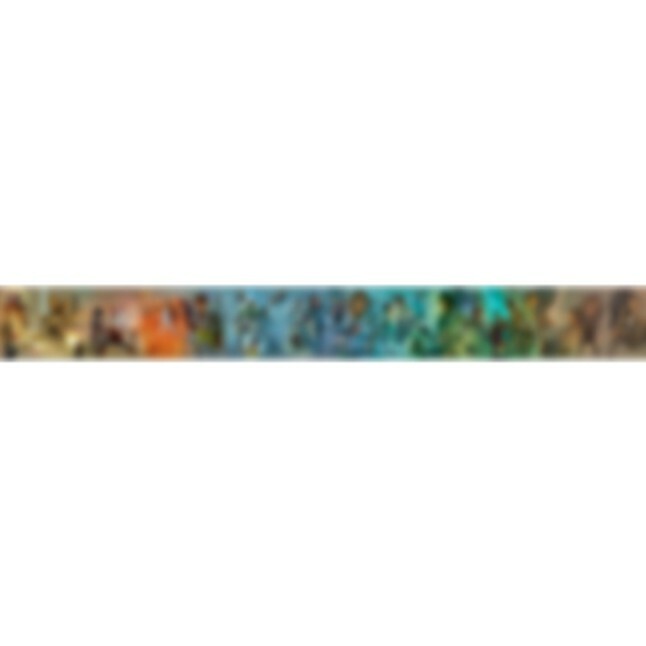 @AhsokaTano wrote: Have you seen the colour scheme of the mural revealed at celebration? It seems to start yellow , then red for prequels , then merging into purple tones for Solo and rogue one fading to blue and green for original trilogy and sequel trilogy and it seems to be fading to yellow again . Having said that haven’t seen the last part yet as that’s covered up . I would say yellow/light brown based on the preview of the mural. Though, this image was changed today. I agree, the mural should end in yellow going towards white. The Prequels are bathed in red because it is the Clone Wars, and Mars is the red planet/the god of war/emperor rule see emperor card in Tarot. 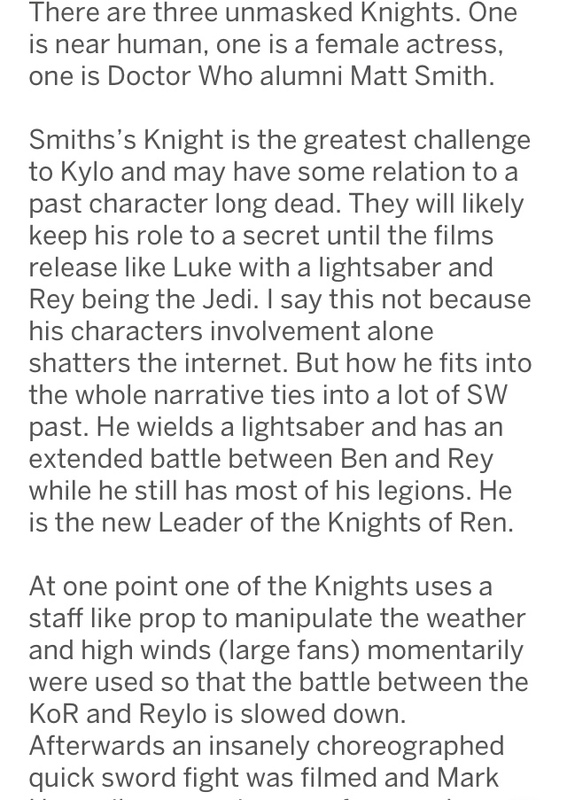 Kylo will be the Sun in full force, Kylo is in darkness as TFA begins, but Kylo will ( "die") and resurrect in 9 I would believe that the last third of ST will be in bright sunlight that is my best-educated guess. Something like that was one of my guesses. @SW_Heroine_Journey It makes sense as a title, but I still have a hard time thinking they're going to use 'Force' in the title again. @fuhry wrote: @SW_Heroine_Journey It makes sense as a title, but I still have a hard time thinking they're going to use 'Force' in the title again. There is a part of me that is torn - I think; they won't repeat Force again, yet it is so important that...what if they do? Well, we'll find out within the next day. It's so soon! 20 hours I think? I wonder who will be at the panel. There was a rumor it would be a ton of people (except Mark of course). @californiagirl wrote: Well, we'll find out within the next day. It's so soon! 20 hours I think? 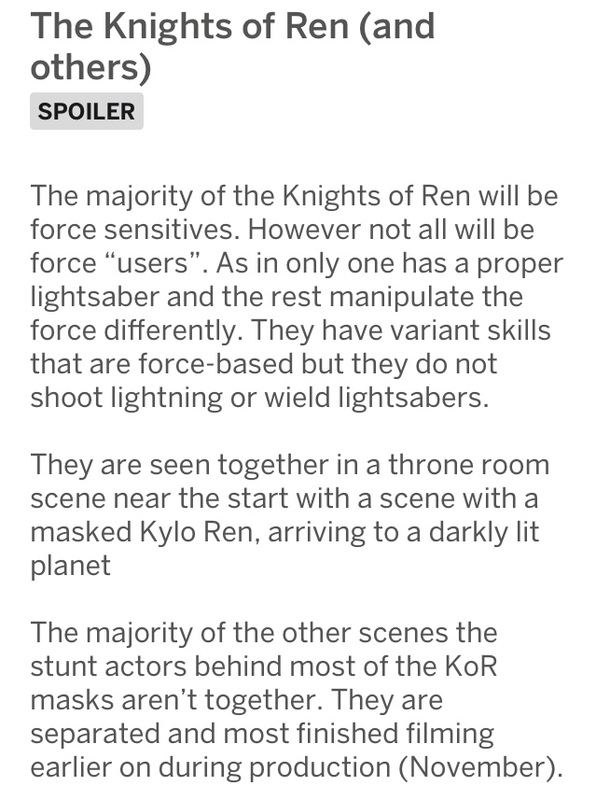 For the panel - I am primarily hoping for Daisy, KMT/Loan, Kerri, John, Lupita, Billie, Billy, .....and Rian (just for the gratefulness aspect for VIII) - honorable mention is Adam because although he would be even with Daisy - I just doubt he will be there, Celebration does not seem to be his thing. Any not mentioned are not purposeful ignoring, I'm just indicating my top choices. As a PS, if Mark was fibbing, and it turns out he will be there, I'm OK with that - I just hope he remembers it is not about him.